HCFM (Holy Cross Family Ministries) has been actively involved in several years in deepening and enriching family life in India and across the world. 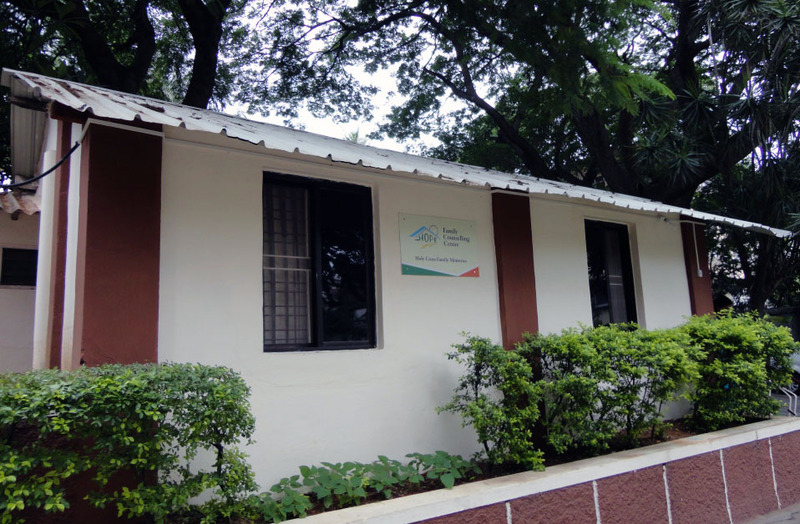 Now HCFM –India brings to our very own Bengaluru a Family Counselling Centre. The centre will make available various counseling services from professional and experienced counselors. Today there are hurt couples family members who could benefit from professional help. They are not being helped simply because they do not know where to seek the help. The H.O.P.E . (Healing, Openness, Peace and Enrichment) Counseling Centre is to offer assistance to individuals who are in need of professional help, especially with regard to managing their relationships. The centre reaches out to the married couples who feel the need of a counselor to sort out issues between them. Prior to the marriage enrichment programs some couples may require personal counseling to benefit from the program. Counselors who are qualified by training and experience are there to assist at the centre. The pastoral counseling in some cases instill in them the true meaning of the sacrament of marriage and family values. Read the statements below and see how many are true about you. I don't understand my child anymore. I don't feel at home in my own family. I don't feel satisfied in my marriage. I don't feel valued by my own family. I feel rejected by my own dear ones. I can't remember the last time I felt loved. I feel I have lost my inner connection with my own family. My wife/husband does not love and respect me anymore. My parents do not understand me. I wish my spouse gave me more time. I feel my spouse and I are growing apart. My family members do not appreciate all that I do for them. I don't feel eager anymore to go home in the evening. I wish we had more time as a family. I can't remember when we had a hearty laugh together in the family. I wish my spouse and I could talk more often. Worries about my family have begun to affect my work/studies. If at least 5 of these statements are true about you, HOPE may be able to assist you.